What is a Call To Action and How Do I Make One? 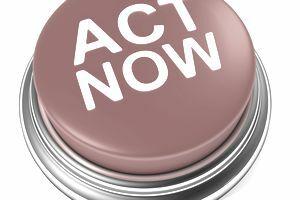 A call to action (CTA) is a statement designed to get an immediate response from the person reading or hearing it. It's used in business as part of a marketing strategy to get your target market to respond through action. It's generally used at the end, or sometimes throughout, a sales pitch (i.e. a sales letter) to let potential clients/customers know what to do next if they're interested in what you offer. Whatever the reason, leaving CTAs out or your marketing materials can mean losing money. Calls to action are essential in directing a prospect to the next step of the sales funnel or process. What are Calls to Action Used In? The most obvious uses for a call to action is in sales, such as "Buy now!" However, the sales process isn't the only place a call to action can be helpful. Especially if you have a high priced item or service, in which it can take time to encourage someone to buy, a call to action that acts like a road map toward sales can be helpful. For example, "Call now for a free estimate." A call to action can be used to build your email list ("Sign up for a free report now"), increase your social media following ("Get more tips and coupons by following us on Facebook! ), keep readers on your site ("Click here to read more about...") and much more. Respond before July 30th to enroll at this special price. Don't assume people know what to do when they read your ad or marketing materials. You'll get greater results by being clear about what the prospect needs to do next. Have a CTA on everything! Make sure each page of your website, each sales conversations, and every piece of printed material (i.e. direct mail or brochures) contains a clearly defined and easily identifiable call to action. For ideas, check out established businesses' marketing materials and websites to see how they convey their call to action. Keep it simple. Calls to action work best when they're not complicated. Don't make your potential clients and customers go through a maze or jump through hoops. While offering option is good (i.e. "Call or email us"), don't give them so many options or make it difficult for them to follow through on what you want them to do. Know what your desired result is. Have an end goal for each call to action and how that call to action may fit with other parts of your marketing plan or get them into your sales funnel. For example, you may have a call to action to get a freebie by signing up for your email list, which is the initial goal. But perhaps you use that email list to send sales letters with a call to action to "Buy now." You might even have an upsell after the sale, with another call to action. The email subscription is the first step in the ultimate goal of a sale. When doing a printed piece or designing a website or email marketing campaign, it is suggested to differentiate the call to action by making it bigger, using a different color, and outlining it with extra white space. Don't let it get lost in the rest of the marketing piece or content. Free Gift: The first 100 people will receive a free gift. Order now before all the gifts are gone! Free Trial: Sign-up by November 30th to take advantage of our 60-day free trial. Buy Now: Don't wait, starting saving money today! Price Increase: Our prices are going up on January 1st. Come in today to take advantage of lower pricing. Automatic Upgrade: If you order within the next 30 days, receive an automatic upgrade to the premium package. Discount Deadline: Order by the end of the week to receive 10% off. Sale Incentives: We are overstocked! This Wednesday only, attend our liquidation blow-out event for deep discounts. Like many other marketing strategies, testing different options insures you're getting maximum results. The same is true with calls to action. For example, do you get more email sign ups with "Subscribe Now" or "Get Your Free Report Now?" Test out a variety of options, switching them out one a time and then checking to see if one leads to more responses and sales than another.